By their own admission, their WordPress hosting “it’s nothing but a hosting account with WordPress installed.” In other words, there is nothing special about it at all with the exception that WordPress is already active. 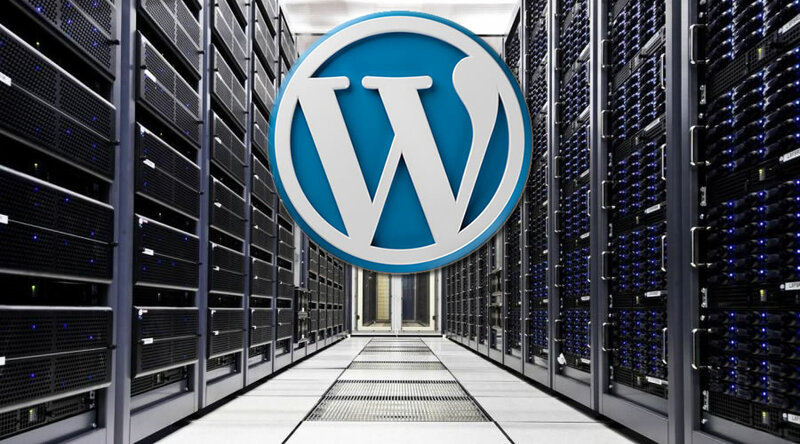 Seeing that installing WordPress is a fairly easy task anyway, there is not much advantage using their service. In fact, because of the limitations they impost on WordPress hosted accounts, it can actually pose a disadvantage not only to the amount of data and traffic that is allowed, but to a SEO strategy as well. Many of these so-called “features” are not features at all but restrictions and limitations (which I’ll discuss below). Now to their credibility, they do list a few limitations which are in fact limitations indeed. While GoDaddy claims to offer “performance-enhancing caching,” I see little evidence of this. We recently had a client switch their WordPress driven site over to GoDaddy (without telling us) and they went from fairly decent page speed scores (they have a very graphic intensive site) to very, very poor. Yes I used the word “very” twice to emphasize how poor. Just how poor you might ask? How about a 12 out of a possible 100 for mobile version and a 14 out of a possible 100 for desktop version when testing with the Google PageSpeed Insights tool. This is “performance enhancing caching” that GoDaddy is providing? I think not! In web sites, “caching” is designed to reduce the number of requests that are made to WordPress’s mySQL database when web pages are called for. With regards to SEO, a good caching and minifying strategy can help pages load much faster than if there was no caching or minifying. We use a WordPress plugin called W3 Total Cache to accomplish these tasks. When configured properly and combined with other functions, this caching plugin can greatly reduce page load times. Unfortunately, W3 Total Cache is on GoDaddy’s list of blacklisted plugins. In other words, you cannot run it if you are using their WordPress hosting service. So, unless you have built into your WordPress theme many of the things that caching and minifying provides, you may have slow loading web pagers. I already mentioned above the fact that you cannot run W3 Total Cache makes this a restriction and not a feature. However, the fact that GoDaddy decides what plugins you can and cannot run is a major limitation. Why should they decide what you do with your web site? It is your site, is it not? Another plugin that we run on all WordPress sites is Broken Link Checker.This is such as essential plugin in my opinion because it constantly monitors internal as well as external links to see if they are still active. Why is this important? First of all you want to be aware if you have any internal links that are broken, whether they be links to other pages or documents on your site or broken image links. Secondly, you want to know if you are linking out to a web site or page that is no longer there. It all comes down to user experience in that you do not want your users to navigate to pages, documents and images that do not exist, It makes for a bad user experience. Unfortunately, this plugin is on GoDaddy’s blacklist as well. The core reason they do not allow this one is due to the fact that it is labor-intensive. Broken Link Checker is always working to detect broken links within your web site and is therefore in their eyes a burden on their server resources. And because you will be on the same server as thousands of other sites, they want to control how many server resources your site is utilizing. Despite this fact, it does not make it right. W3 Total Cache and Broken Link Checker are not the only plugins they restrict. There are in fact 44 such plugins on the list as of the writing of this post. You can check out the entire list of GoDaddy blacklisted plugins here and then decide for yourself if any of these would hinder what you want to do with your web site. For one who wants their web site to be as SEO-friendly as possible, the fact that GoDaddy does not allow W3 Total Cache alone is a deal breaker for me. Not too mention that I have never thought of GoDaddy as really good at anything but being a domain name registrar. But just like Network Solutions, they have added on all kinds of additional services to try to increase revenues. I get it! However, I would advice you as a consumer that there are much better options out there. And because page load times are a major ranking factor these days, don’t let any web host restrict what you can do to make your pages load as fast as possible. In fact, don’t allow any web host to restrict you like a little child in what you can do with your site to make it the very best that it can be. Whether you are considering using GoDaddy’s Managed WordPress Hosting services, are a current customer or even have used them in the past, I’d love to hear your experiences, whether good or bad. Feel free to comment below or hit us up on social media. I tried GoDaddy’s WordPress hosting for over a year and had lots of problems. I have been designing web sites since 1998 and used a lot of different hosts. Godaddy servers are extremely slow and their support system is very bad. Lots of problems with https (SSL) and you end up wasting time and spending more money per website. There is also no email support. Phone support and chat support wait time is over 20 minutes. Support staff (if you wait and can reach them) has very little knowledge and they act like receptionists. They can’t solve most the issues. Godaddy tech support is the worst I have ever seen. Fortunately I have never had to use GoDaddy for anything myself. However, we constantly work on client sites that are either hosting with GoDaddy or at the very least, using them for domain name provider. The latter is fine but for hosting, a nightmare! Thanks for your comments. Thanks for this post David. I launched my website on GoDaddy yesterday and it’s terribly slow . I bought their basic Cpanel hosting package with no managed wordpress. What other options do I have . Can you recommend any other hosting companies?